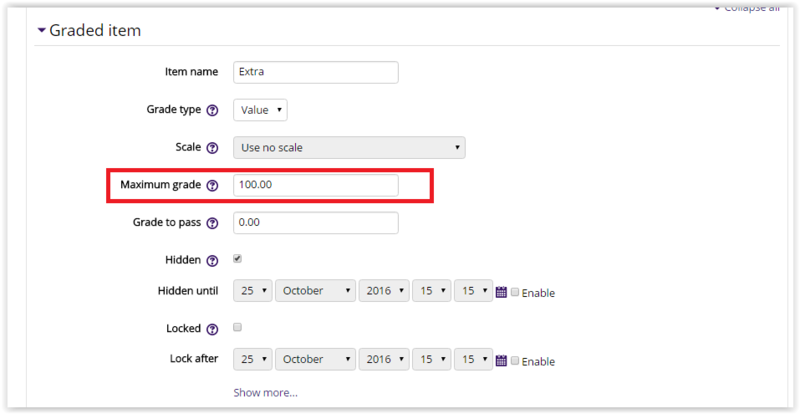 This setting determines the maximum grade that can be given using the value grade type (for scales: the number of items in the scale - 1). 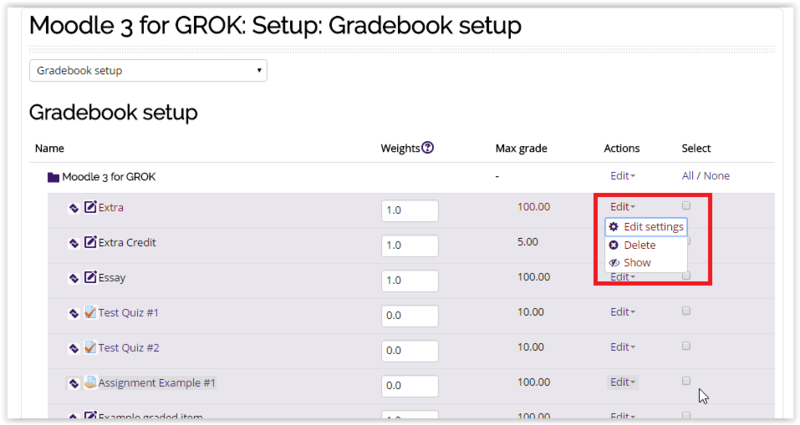 The maximum grade for activity based items (a Moodle quiz and the assignment activity, for example) must be updated in the activity settings from the main course page. 2. Under the Administration block on the left side of the screen, click Course Administration | Grades. 3. 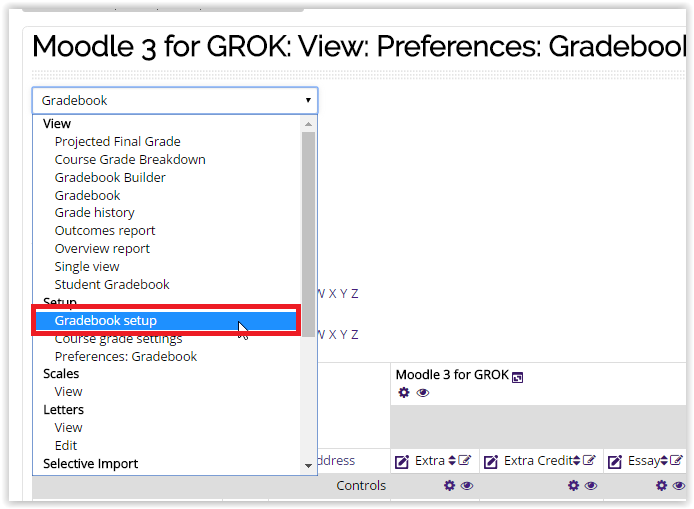 Open the drop down menu and select Gradebook Setup. 4. 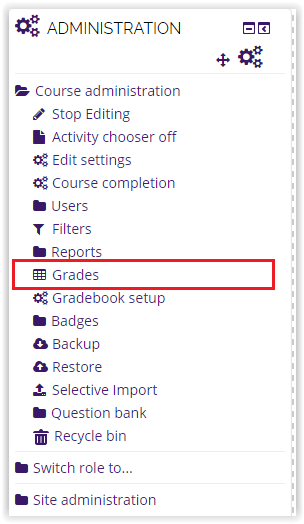 Select Edit Settings in the Actions column for the Graded item that needs updating. 5. Enter the numerical value that you want to use as the new Maximum grade in the text box.